Australian Hayley Kleeman studied architecture at Queensland University, receiving a Bachelor of Design Studies. Acknowledging her true love for film, she went on to earn a Bachelor of Film and Television degree from the Victorian College of the Arts, Melbourne University. In Australia, Kleeman directed performance based television commercials and the hard-hitting documentary Muck Up Day which received a Special Commendation for Education at the 2001 Atom Awards. Her comedic short films Tease, Thump and Taken explore the dynamics of people’s emotion in the face of desire. Thump won a Special Commendation at CIAFF, the Chapman Student Jury Prize at the Flickerfest Short Film Festival, and was a finalist for the Dendy Award at the Sydney Film Festival. 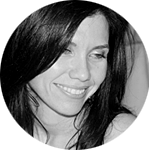 In 2005 Kleeman directed her debut feature film, the atmospheric The House of Usher, a contemporary reworking of the classic short story by Edgar Allen Poe from a female perspective. Usher won Best cinematography at the Boston Film Festival. In 2008 she directed the thriller Impact Point for Screen gems. She is currently based in the U.S.